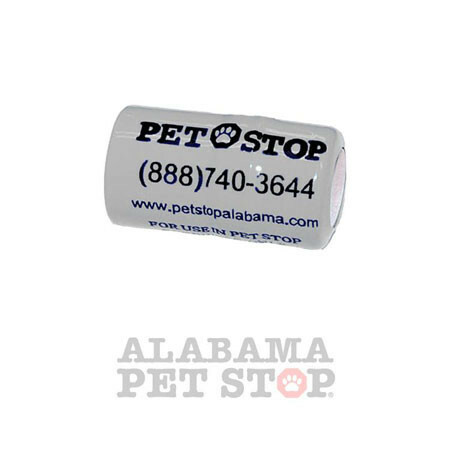 Due to contractual obligations, we are only allowed to ship Pet Stop batteries and accessories to our customers who reside in Alabama or to customers who started inside our Alabama territory and have since moved to another location. For this reason, any orders we receive with a shipping address outside our contracted territory will not be processed or shipped. 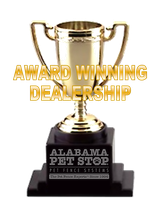 If you were our local customer but have moved outside our Alabama territory, please call our office at 888-740-3644 to get approval for future online orders. 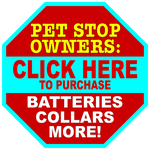 Our 7.5-volt silver oxide batteries are manufactured to exact specifications, designed to provide the perfect power source for your high-quality Pet Stop UltraMax™ or the older Standard SmartReceiver collars. Do you need to replace your dog's nylon collar? 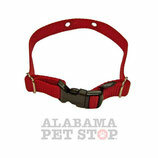 If it's faded, frayed, stained...or you just want a new color - replace it with a new high-quality durable nylon collar. 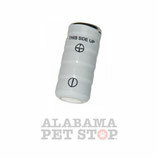 These OEM collars are perfectly suited to mount your Pet Stop SmartReceiver. The pre-drilled mounting holes are sized and spaced for a perfect fit. 3/4" Wide. Our exclusive Comfort Contacts cushion your pet's neck with soft rubber, providing a lighter touch than hard steel contacts. Veterinarians prefer the softness of the Comfort Contacts to help avoid serious skin irritation. 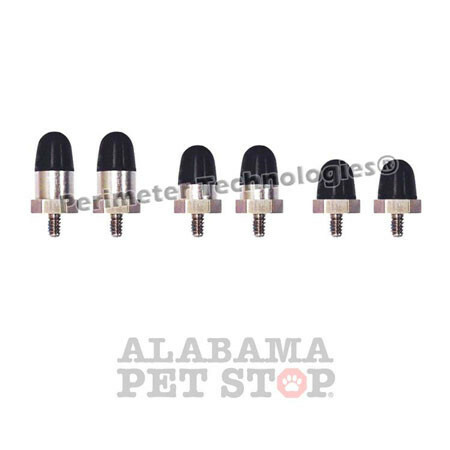 These Premium Quality dog fence collar probes fit Pet Stop, Invisible Fence, Petsafe, Hidden Fence, and Perimeter Brand Dog Fence Collars. Set of two contacts. Rubber Comfort Tips are replaceable. Not suitable for long or thick-coated pets. 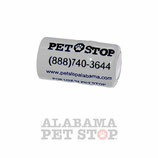 Does Your pet have a long or thick coat? 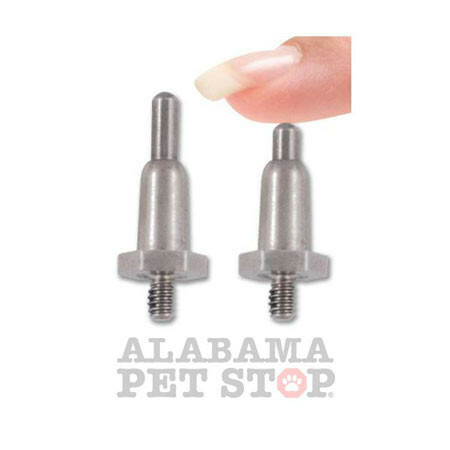 If your dog's coat makes contact difficult using regular steel dog fence probes - replace them with new Premium Quality Perimeter Technologies® Retractable Gentle Spring Contact Posts™, made to fit most dog fence collar receivers on the market today. 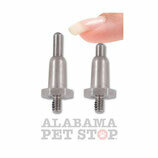 With fixed steel contacts, the collar must be kept very tight to maintain contact on dogs with long or thick coats. With Gentle Spring Posts, the retractable spring action applies the pressure, allowing the collar itself to be worn more comfortably by your best friend. The spring tension applied when worn is the perfect balance between effective contact and minimal skin pressure, making your system Safer and More Effective. Dogs like Huskies, Malamutes, Chows, Corgis...any breed with a dense undercoat will benefit from using Gentle Spring Contacts™ to help them better feel your receiver's corrective pulse. 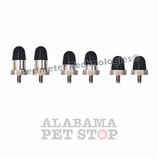 Many thick-coated Golden Retrievers, Springer Spaniels, and Labrador Retrievers also respond better with these posts. 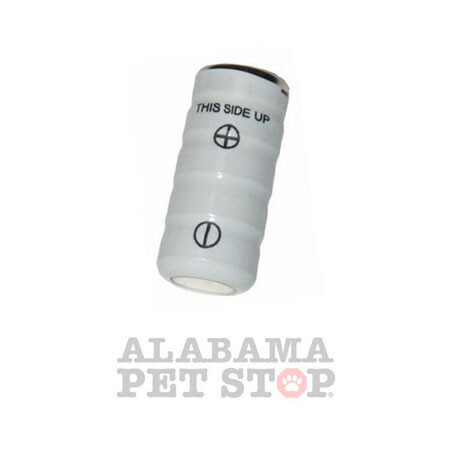 These posts are perfectly made to fit your Pet Stop, Invisible Fence, Contain-a-Pet, PetSafe, Perimeter, or Hidden Fence receiver.